Recently I wrote several tips for getting paid faster – and many of these related to the information and layout of your invoices. 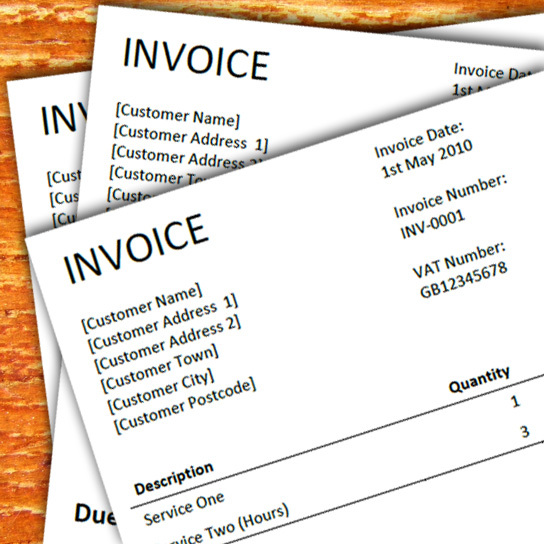 It’s important to get this right, and is something a lot of freelancers get wrong when they are starting out, so I’ve put together an invoice template for you to use. The template is available in several formats below. Feel free to edit and use the template as you wish, and if you have any suggestions for improvements be sure to let me know in the comments. Thanks for this, saved me loads of time! Thank you. Yu saved me time. I am grateful. Great template, simple and concise. Again saved me a load of time. Thank you for this. As a newly self employed copywriter, I wouldn’t have a clue how to draft an accurate invoice. Very much appreciated. Thanks a lot. This is a great service/site concept. Thanks! Just wanted to say thank you very much for this! A quick thank you for the invoice template. Great template exactly what I was looking for and very quick and easy to edit and looks professional. Thank u so much Chris . Thank you for the easy to use and simple template. It’s great for free-lancing sound engineers too. Thank you very much. Just starting out…. Thanks for this! Helped me issue my first invoice (for an opportunity that came up unexpectedly and sooner than anticipated) promptly and professionally. just getting started and so helpful to have found your site. Thanks Chris.